After her older brother Carlito kills his girlfriend Isabela's baby girl because he thinks Isabela is cheating on him, 23-year-old Reina feels trapped trying to comfort him on death row—until his death frees her to start over in Crescent Key, a place where nobody knows her family history. 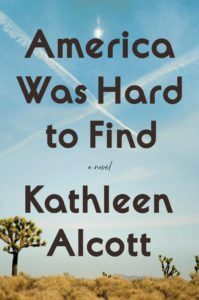 ...with its richly layered narrative structure — filled with the echoes, or ripples, of past events reverberating in the present — and its deeply conflicted exploration of the tangled web of family loyalty and responsibility, the novel offers proof of its author’s developing maturity ... Engel writes with a raw realism that elevates her characters’ mundane existence — their failures and failings, hopes and dreams, pleasures and pains — to something majestic. At the heart of her storytelling is a deep sense of compassion. Reina’s voice is so lucid and nakedly honest that the book is a great pleasure to read, even while it’s breaking your heart. 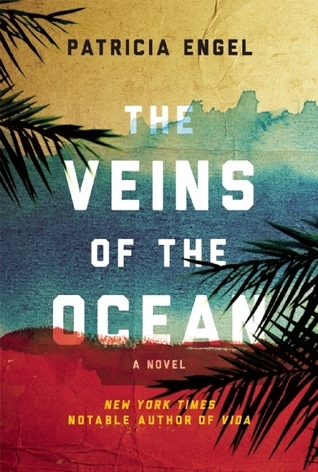 Ultimately, though, The Veins of the Ocean is not interested in leaving the reader in the depth of the characters’ pain, but rather carries us through the pain and beyond it. This, mercifully, is a book as concerned with transforming the human condition as it is with the unflinching examination of its wounds. It takes place in a world full of borders, violence and prison walls, and, also, in a world where the stunning beauty of a wild dolphin can take your breath away and give you the strength to get free. Engel’s novel reaffirms her talent, which was first displayed in her story collection Vida, and which has grown with each succeeding book (she’s also the author of the novel It’s Not Love, It’s Just Paris). Her style was originally stripped-down, more bone than flesh. But novels encourage you to indulge your appetite for words. Engel’s voice is lyrical, in a no-nonsense sort of way. Her descriptive powers have improved greatly; she has an all-seeing eye that misses nothing of importance for the reader. Her themes are richer, too. Engel demonstrates a finely textured comprehension of the wretched of the earth, which she neither idealizes nor pities...At around midpoint the pace turns sluggish. You may feel discouraged; have patience, the speed will pick up again. What did you think of The Veins of the Ocean?